Sculptor of a praying prawn at one of the roundabouts in Beautort town. 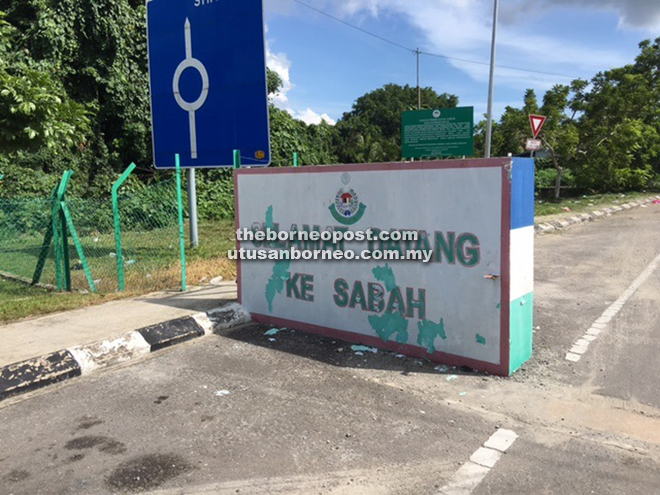 A welcome sign at the Sarawak-Sabah border. Watermelons and honeydews at the market of Sipitang. The rail passing through Beaufort. Bakari with his two young ‘workers’. The front view of SJKC Yuk Hin. Bong (right) and Sze when at the school. 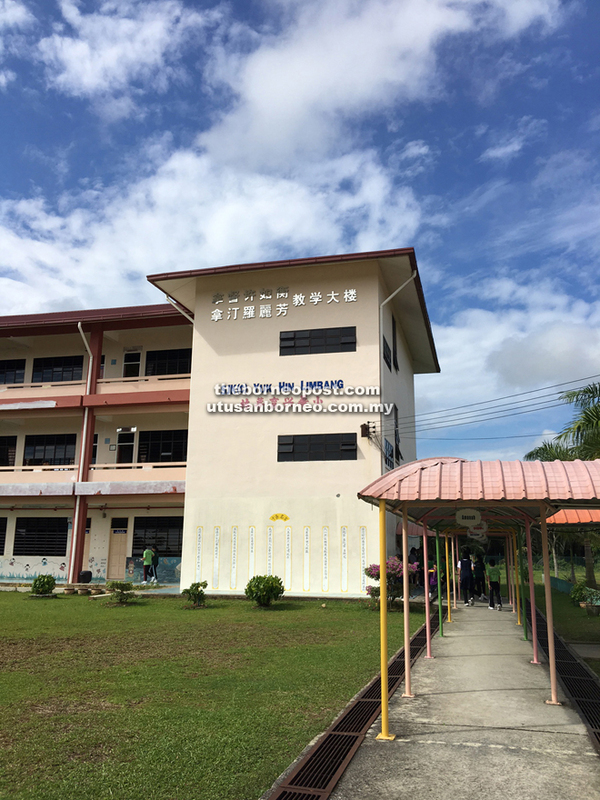 KOTA KINABALU: The Education Ministry is cutting the budget allocated to schools by 20 per cent, the board of management of SJKC Yuk Hin, a Chinese primary school in Limbang established in 2009, told the BAT team. Apparently, the budget cut is across the board and affects all schools in the country. However, the school board of management is confident that it can manage the school’s expenses without compromising on the quality of education. Yuk Hin is a school relocated from Kanowit. It was through sheer determination and perseverance of the Chinese community that after three failures and three petitions in four years the relocation of the school from Kanowit to Limbang was finally realised. “We owe it to the community, those who love Chinese education and various government ministers and leaders through political power and compromise that we are able to have the school approved,” said Bong Tze Kong, the chairman of Yuk Hin school board. After the approval, it took five years for the community led by Bong to apply for land and raise funds. “We are thankful to former Chief Minister Pehin Sri Haji Taib Mahmud (now TYT) for the allocation of a beautiful piece of land. “We also owe it to the community for their assistance from financial to moral support. “Finally on Jan 5, 2009, the school bell rang for the first time calling for class,” said Bong, who is proud of the historic moment. The school is now constructing an additional building for administrative use and extra classrooms and a permanent library. “We raised RM1.2 million but the tender is RM1.6 million. I believe wewill be able to complete it,” Bong said confidently. Looking forward, Bong hoped the school will have an indoor sports stadium and a sports ground. With Bumiputera students forming 20 per cent the school’s population, Yuk Hin is looking at getting these students to have more interest in learning the Chinese language. According to headmistress Sze Lee Ping, most Bumiputera parents send their children to Chinese schools with only the hope that their children can speak Chinese. BAT understands that this problem is faced by all Chinese schools with Bumiputera students. “The other part of learning Chinese, that is reading and writing, are being treated lightly,” lamented Sze. Despite that, the teachers are trying their utmost to get the students to learn to speak, write and read in Mandarin. Sze also shared that it would be more effective for non-Malay speaking students to understand and then master the language if the teachers know their mother tongue as explanation could be more clearly made. The school has 311 students and 20 teachers. Yuk Hin under the board members led by Bong and teaching staff under Sze is moving on with its objective of providing quality education to Limbang residents. BAT members stayed a night in Lawas. On arrival, we met a concerned resident who told us on condition of confidentiality that drug abuse, prostitution, cyber gambling, smuggling and thefts are rampant in the town, and the situation is aggravated by the influx of illegal immigrants. These activities were confirmed by its district officer, who assured that the enforcement authorities were working closely with them. It was an hour‑an-a-half drive for us to enter Sabah. We were surprised that there was no immigration check even though we said we were from Sarawak. With no record of entering Sabah, we hope we would not have problem checking out from Sabah Airport on our return trip. The closest town to the Sarawak-Sabah border is Sipitang – the home of Kedayans, Lundayehs, Brunei Malays and the indigenous Muruts. We took a stroll in and around the huge market selling all sorts of things from fruits, food, sundry goods and rice to fresh fish. You name it, you can find it here. Sudarti, 54, was selling honeydews and watermelons. She said the market opens from 7.0 am to evening. Business is good, she said with a big smile. 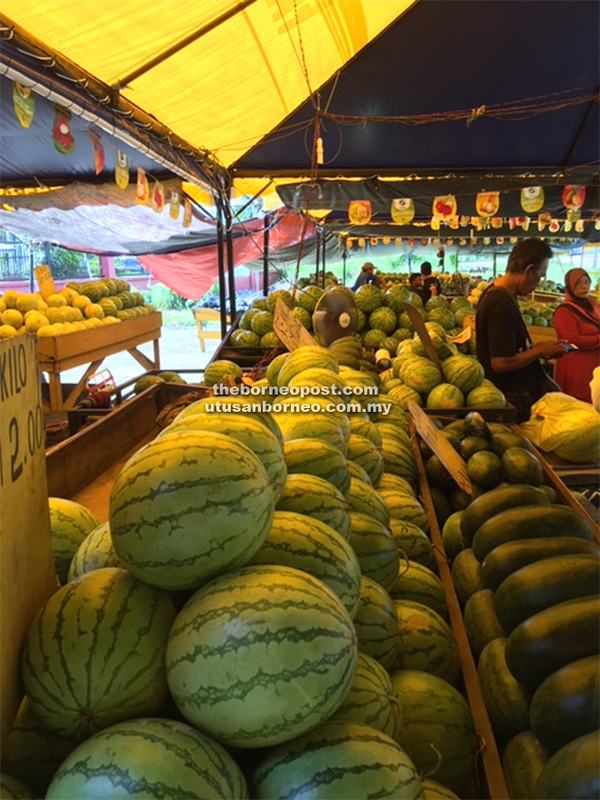 The watermelons and honeydews are grown near Kuala Penyu and Beaufort. 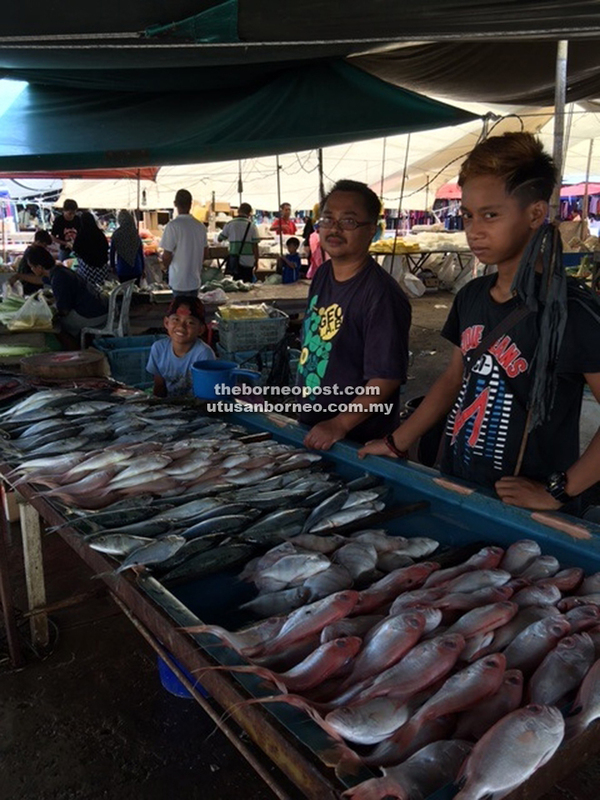 Further down, Bakari Buteh was selling fish with two young children aged 6 and 7 years. It was a shock to learn from Bakari that the children are his workers. We were also told that Sipitang is also widely known as having the best satay in Sabah and many come to the town to taste the specialty. Savouring the best satay at Satay Sentral shall be another day, we reckoned. 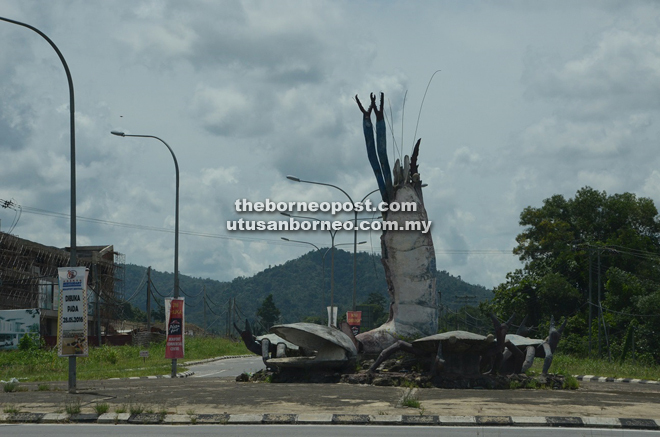 Earlier, it was reported that just 15 km away from Sipitang town, Sabah Oil and Gas Industrial Park is taking shape with the centrepiece being Petronas Chemicals Fertiliser Sabah plant. Moving on, we stopped at Beaufort, a thriving town named after former British governor L P Beaufort. Beaufort means beautiful port. 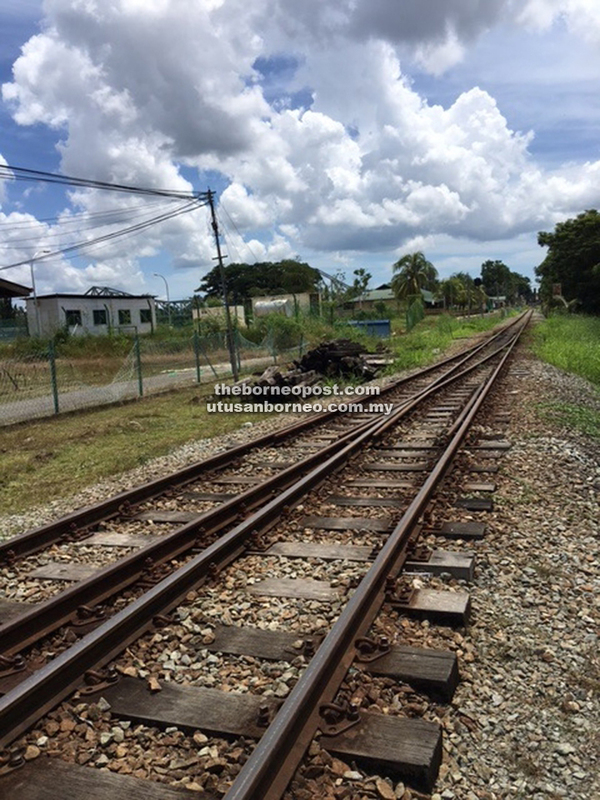 It is one of the big towns along the railway line and a transit stop for passengers boarding rail trains to Tenom.